In today’s world, couples want every moment of their big day to be Instagram-worthy. From the bridal party relaxing in a private spa garden pre-ceremony, to the best man toasting the happy couple in an intimate, Old World wine cave. Beautiful settings and exclusive touches are what make a celebration unforgettable. A curated collection of the west coast’s top hotels and resorts, the Meritage Collection offers picture-perfect locations whether the bride desires laid-back luxe, beachside chic, or Wine Country romance. Tucked away in sun-drenched Torrey Pines, Estancia La Jolla Hotel & Spa sits on over 10 lush acres of lovely gardens and Spanish-style architecture. Countless botanicals, soothing fountains, and sweeping staircases are found in the resort’s gorgeous outdoor venues, while rustic-chic décor sets a romantic mood indoors. Mesmerizing views of the Pacific Ocean and details designed to delight have made many happy couples’ dreams come true at the oceanfront Paséa Hotel and Spa. This modern oasis, in iconic Huntington Beach, offers the Ocean Lawn for stunning outdoor ceremonies along with elegant, sand-and-sea inspired spaces inside. Magical settings abound at Vista Collina Resort, adjacent to The Meritage Resort. Beauty, tranquility, and authentic Wine Country ambience infuse celebrations of all sizes. In addition to the Vineyard Deck and Estate Cave, this luxurious resort offers the picturesque Village Lawn, Rooftop Terrace & Lounge, and rustic Vintner’s Room. Each property happily hosts a variety of soirees – from intimate ceremonies to grand celebrations. 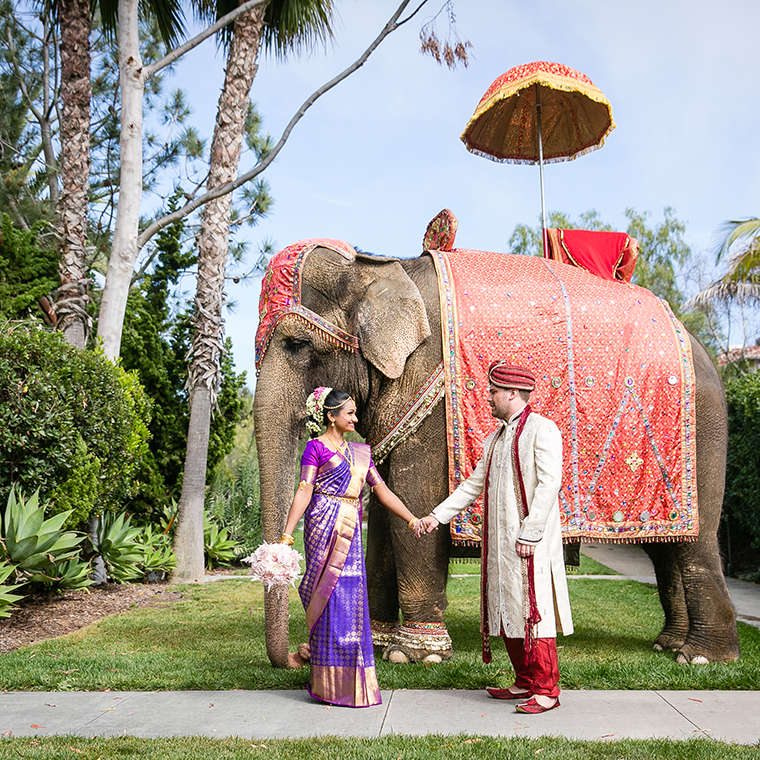 The expert staff at these unique California wedding destinations turns dreams into reality, whether it’s preparing a cozy space for a memorable mehndi, pampering the bridal party, setting the perfect scene for a baraat, or orchestrating a truly unforgettable ceremony.